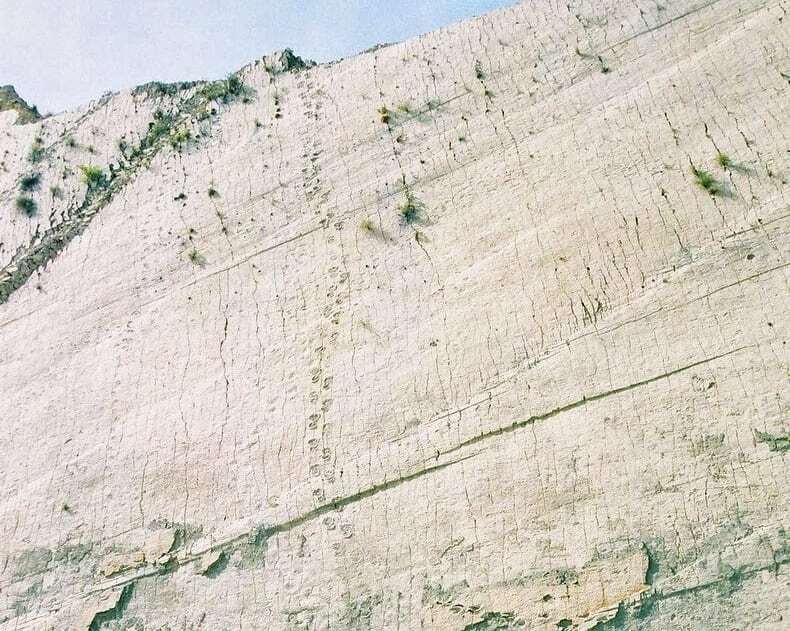 Workers at a cement plant outside of Sucre Bolivia discovered a huge wall of rock with thousands of dinosaur footprints. The site is called Cal Orcko and it’s the largest area of dinosaur tracks in the world. The limestone wall is enormous. It is 3,937 feet long and 262 feet high and has more than 5,000 footprints.